Stakeholders met in the European Parliament on 9 April to discuss how the future European Social Funds Plus (ESF+) can better support the work of social services. 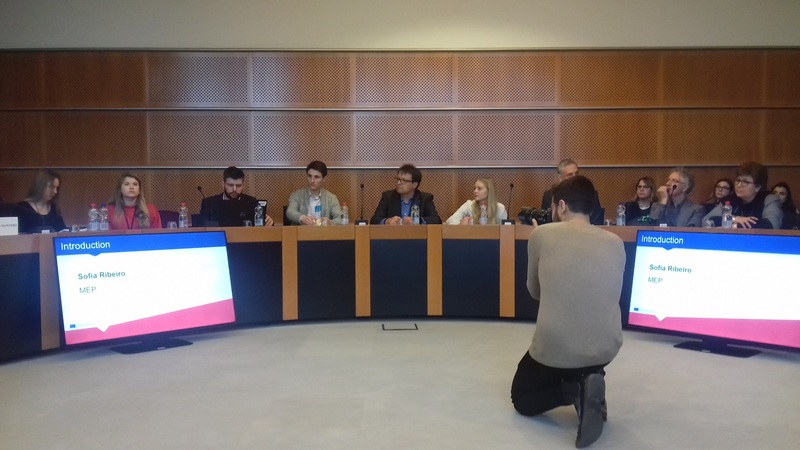 This event was hosted by Sofia Ribeiro (MEP). Ms Ribeiro started off the meeting by expressing her believes that European projects should go hand in hand with Europe’s social dimension. In this regard, the European Pillar of Social Rights can and should translate into concrete measures. She was followed by Verónica Lope Fontagné (MEP) who went one step further, by indicating that the role of legislators like her should be that of simplifying the access to programmes and EU funds to interested stakeholders. Even though these have diminished because of the aftermath of the 2008 economic crisis, ESF+ funds have played a significant role in shaping many social projects during the last electoral term. Alfonso Lara Montero (Chief Executive, ESN), also insisted on the social added value of these funds. The heads of three European social services organisations also shared their experience using these funds, with stories of success coming from Spain, Belgium, and the Czech Republic. However, they all agreed that their experience managing these EU funds was somewhat hindered because of the bureaucracy and different frameworks involved. An even greater simplification of the access and use of these funds would be, in their opinion, beneficial for those in society who needs them the most.